Hello once again to our weekly Arduino instalment. This instalment is a little early this week. This time we will be looking at getting more outputs from less pins, listening to some tunes, saying hooray to arrays, and even build a self-contained data logger! Before we get too carried away, we need to understand a little about bits, bytes and binary numbers. A binary number can only uses zeros and ones to represent a value. Thus binary is also known as “base-2″, as it can only use two digits. Our most commonly used number types are base-10 (as it uses zero through to nine; hexadecimal is base-16 as it uses 0 to 9 and A to F). How can a binary number with only the use of two digits represent a larger number? It uses a lot of ones and zeros. Let’s examine a binary number, say 10101010. As this is a base-2 number, each digit represents 2 to the power of x, from x=0 onwards. See how each digit of the binary number can represent a base-10 number. So the binary number above represents 85 in base-10 – the value 85 is the sum of the base-10 values. Another example – 11111111 in binary equals 255 in base 10. 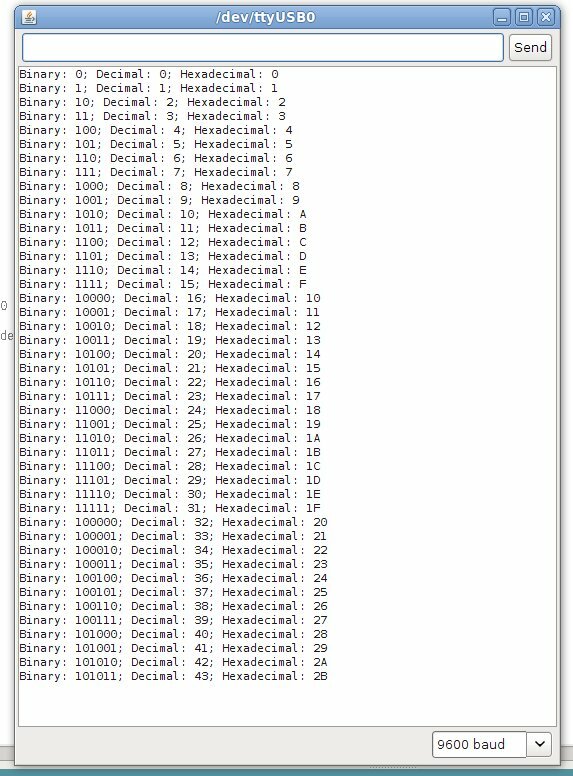 Now each digit in that binary number uses one ‘bit’ of memory, and eight bits make a byte. A byte is a special amount of data, as it matches perfectly with the number of output pins that the 74HC595 chip controls. (See, this wasn’t going to be a maths lesson after all). If we use our Arduino to send a number in base-10 out through a digital pin to the ’595, it will convert it to binary and set the matching output pins high or low. So if you send the number 255 to the ’595, all of the output pins will go high. If you send it 01100110, only pins 1,2,5, and 6 will go high. Now can you imagine how this gives you extra digital output pins? The numbers between 0 and 255 can represent every possible combination of outputs on the ’595. Furthermore, each byte has a “most significant bit” and “least significant bit” – these are the left-most and right-most bits respectively. Pin 10 (reset) is connected to the +5V. 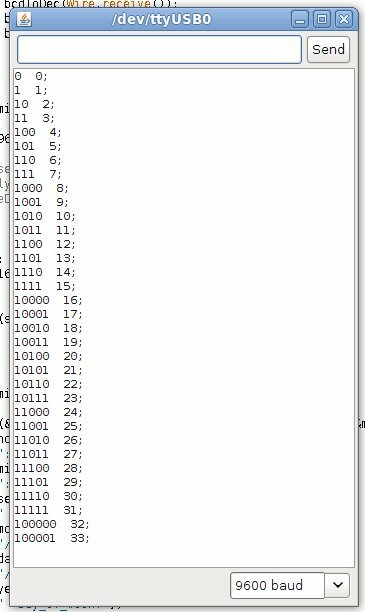 d = the actual number (0~255) that you want represented by the ’595 in binary output pins. Now, what can you do with those ’595 output pins? More than you could imagine! Just remember the most current you can sink or source through each output pin is 35 milliamps. With two or more ’595s you can control a matrix of LEDs, 7-segment displays, and more – but that will be in the coming weeks. 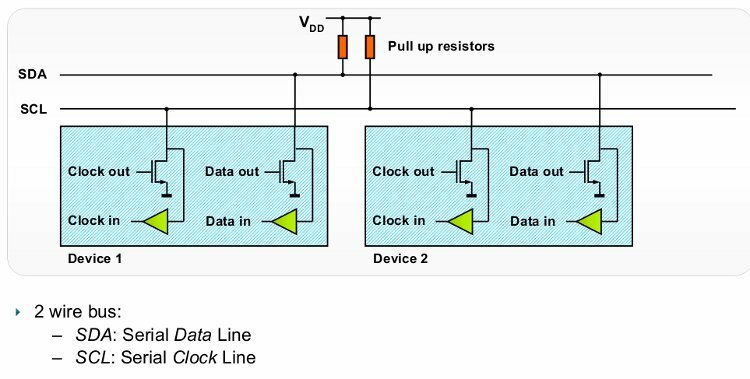 For now, you have a good exercise to build familiarity with the shift-register process. 8 x 560 ohm 0.25 W resistors. For use as current limiters between the LEDs and ground. The hardware is quite easy. Just remember that the anodes of the LEDs connect with the ’595, and the cathodes connect to the resistors which connect to ground. You can use the Arduino 5V and GND. and of course a video – I have increased the speed of mine for the sake of the demonstration. where pin is the digital output pin the speaker is connected to, frequency in Hertz, duration in milliseconds. Easy! If you omit the duration variable, the tone will be continuous, and can be stopped with notone();. Furthermore, the use of tone(); will interfere with PWM on pins 3 and 11, unless you are using an Arduino Mega. Now, good choice for a speaker is one of those small 0.25w 8 ohm ones. My example is on the right in the photo above, taken from a musical plush toy. 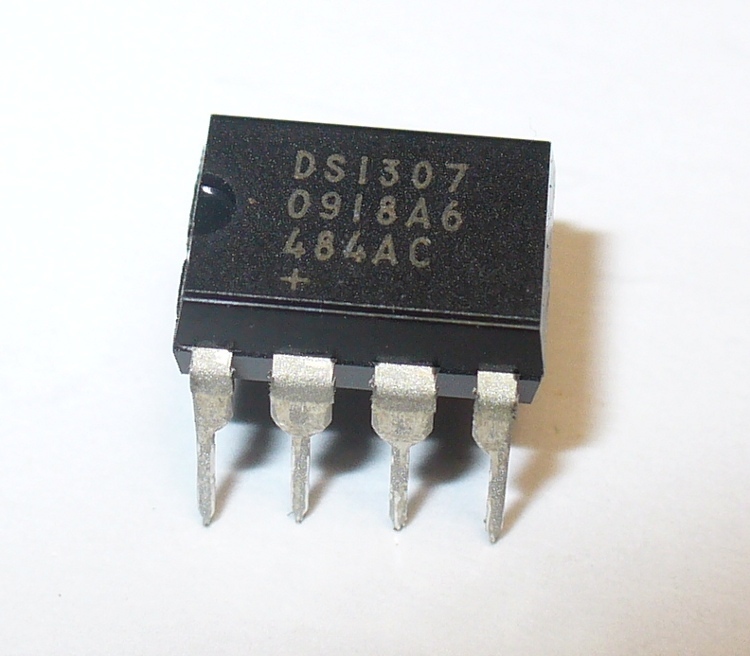 It has a 100 ohm resistor between the digital output pin and the speaker. Anyhow, let’s make some more annoying noise – hmm – a siren! Phew! You can only take so much of that. Let’s use an analogy from my old comp sci textbook. Firstly, you know what a variable is (you should by now). Think of this as an index card, with a piece of data written on it. For example, the number 8. Let’s get a few more index cards, and write one number on each one. 6, 7, 5, 3, 0, 9. So now you have seven pieces of data, or seven variables. They relate to each other in some way or another, and they could change, so we need a way to keep them together as a group for easier reference. So we put those cards in a small filing box, and we give that box a name, e.g. “Jenny”. Before we get too excited, there is a limit to how much data we can store. With the Arduino Duemilanove, we have 2 kilobytes for variables. See the hardware specifications for more information on memory and so on. To use more we would need to interface with an external RAM IC… that’s for another chapter down the track. Interesting… very interesting. Imagine if you had a large array, an analogue input sensor, a for loop, and a delay. You could make a data logger. In fact, let’s do that now. Once the 24 loops have completed, calculate and display the results on an LCD and (if connected) a personal computer using the Arduino IDE serial monitor. I know you can do it, this project is just the sum of previously-learned knowledge. If you need help, feel free to email me or post a comment at the end of this instalment. Today I decided to construct it using the Electronic Bricks for a change, and it worked out nicely. And here is the sketch if you would like to take a peek – Ex 4.2. High resolution photos are available in flickr. Another week over! I’m already excited about writing the next instalment… Congratulations to all those who took part and built something useful! Please subscribe (see the top right of this page) to receive notifications of new articles. You are currently browsing the archives for the binary category.